If you are a fan, or simply longing for a costume party while you are in Bucharest, this event is for you. The launch of Star Wars Episode VII: The Force Awakens is supported worldwide by parties and dedicated events. Here, in Bucharest, the most interesting coonstumes will receive themed cocktails! "STAR WARS Party" Party in Bucharest. 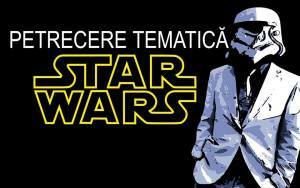 You can get here description, reviews, address, time and details of "STAR WARS Party" Party in Bucharest. Visit Bucharest Tips for more Party events in Bucharest!